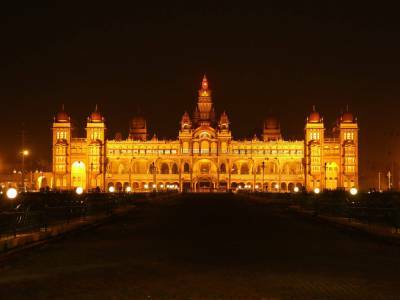 Mysore Palace, also known as Ambavilas Palace or the Mysore Maharaja Palace is a royal residence and a historical palace in the state of Karnataka. Located in the centre of Mysore facing the Chamundi hills eastward, the Mysore palace was the home of the Wadiyar dynasty who ruled it for more than five centuries. 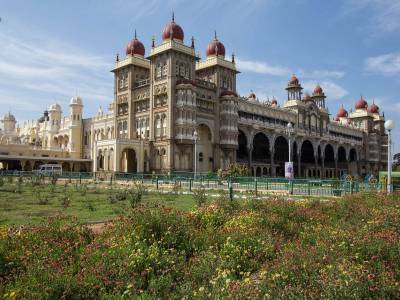 The Mysore Palace is the most popular palace in the country after the Taj Mahal with over 6 million annual visitors. It is also one of the largest palaces in India. The palace stands on a land known as the Old Fort and previously known as “puragiri”, literally meaning citadel. The construction of the palace started in 1897 and it was completed in 1912. The architecture of the domes of the Mysore Palace has a fine blend of Mughal, Gothic, Rajput and Hindu styles and is commonly termed as Indo-Saracenic. There is a large garden that surrounds the palace. There are three entrances to the palace, the East Gate, South Entrance and the West Entrance. Barring that, there are a number of secret tunnels that lead to Srirangapatna and other places. The palace complex comprises of twelve main Hindu temples with the oldest being built in as early as the 14th century and the most recent in the year 1953. The inside of the palace is highly luxurious, intricate and richly intricate having a breathtaking architecture. Antiques made of silver, gold, ivory, marble from around the world are on display some of them being as old as 900 years. A magnificent light and sound show takes place every evening barring Sundays and public holidays which is a great tourist attraction. 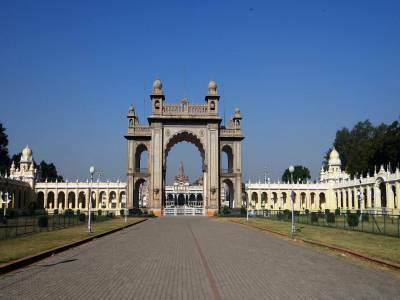 The Mysore Palace is the predominant tourist attraction of the city of Mysore. The walls along the corridors which are decorated with oil paintings of royal themes showcase a host of festivals and ceremonies of the bygone era in great detail. 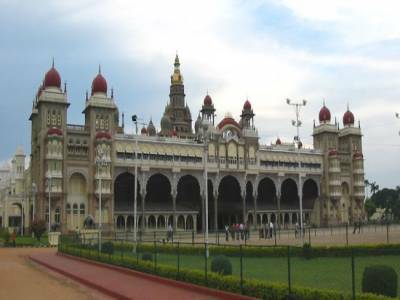 Mysore can be reached by train, bus or a cab from Bangalore which is 140km away and very well-connected with the major cities of India by air as well as train. 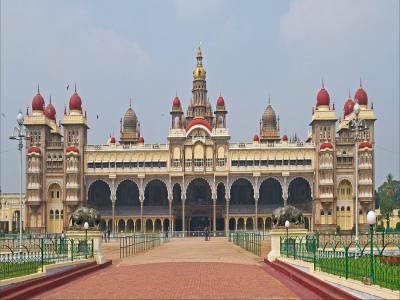 Get quick answers from travelers who visit to Mysore Palace.